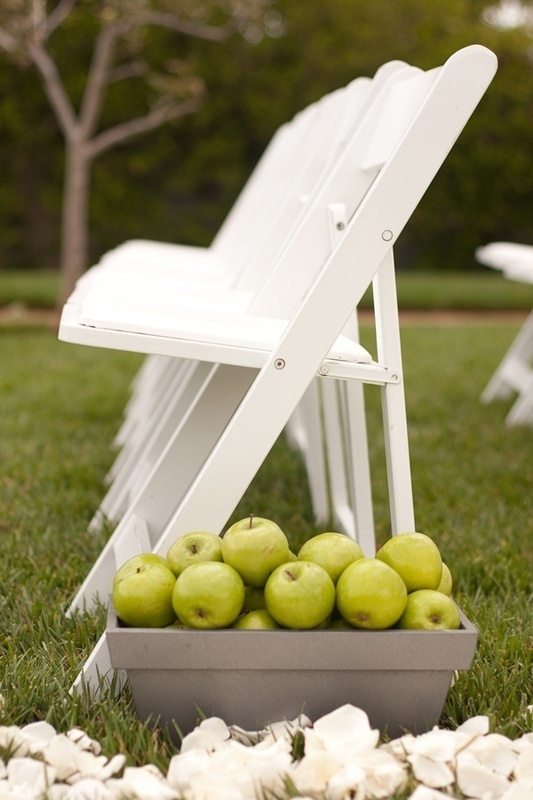 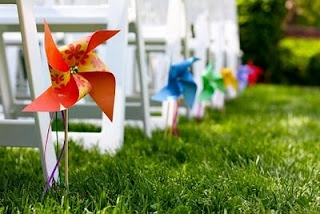 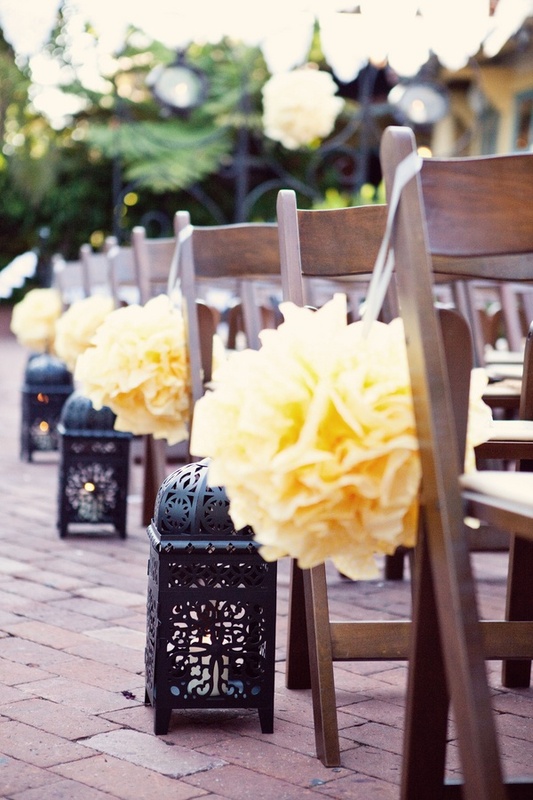 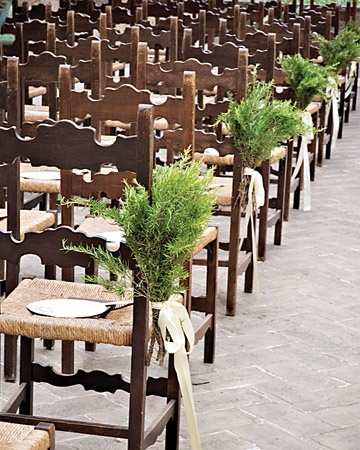 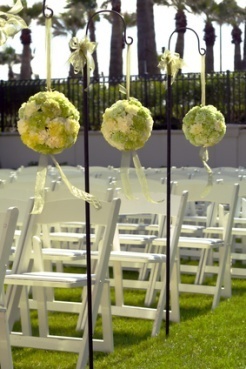 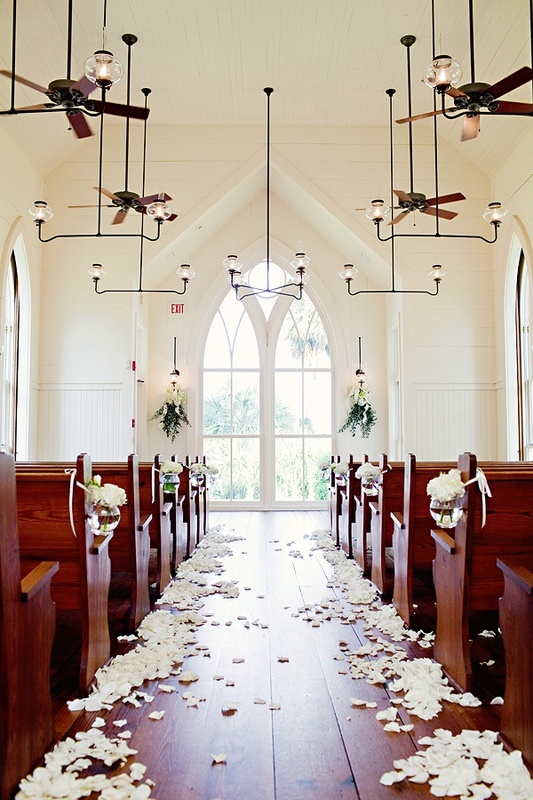 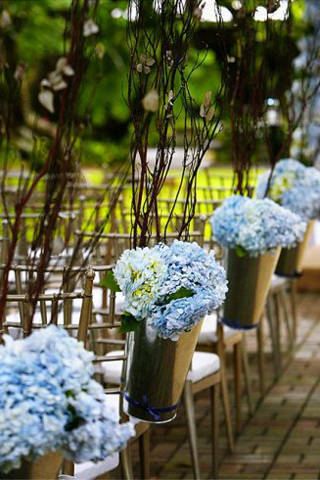 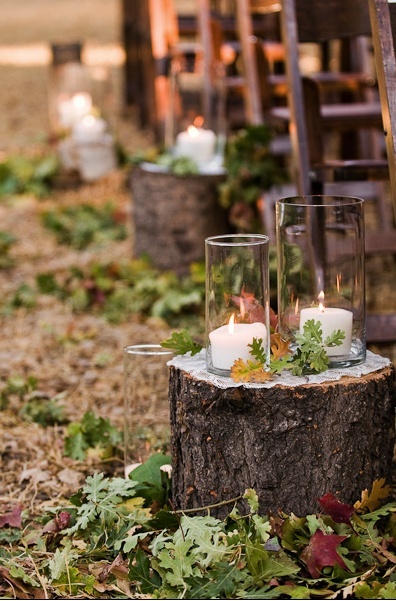 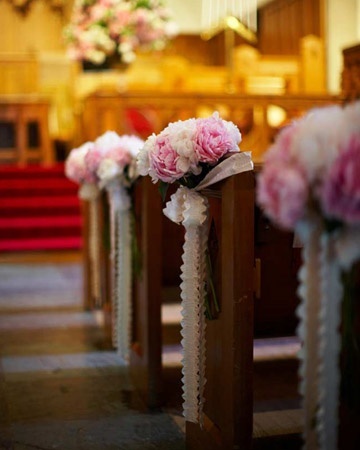 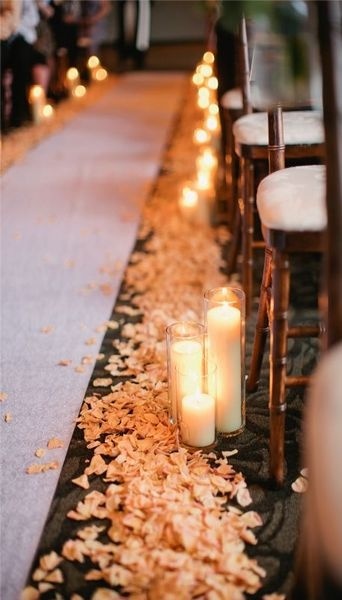 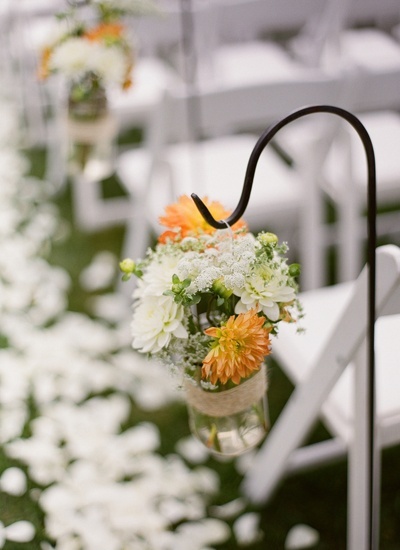 Wedding aisle decor need not be elaborate or expensive for it to catch attention. 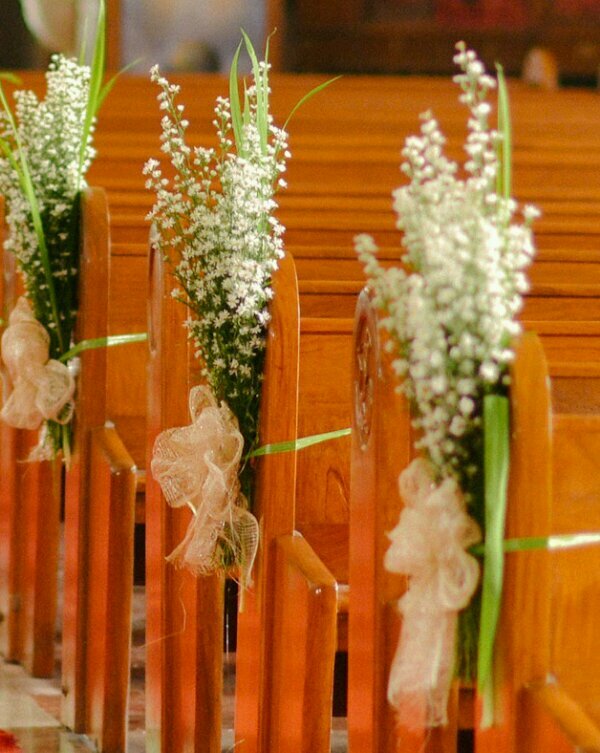 I always admire aisle decors that are simple, unique, whimsical and economical. 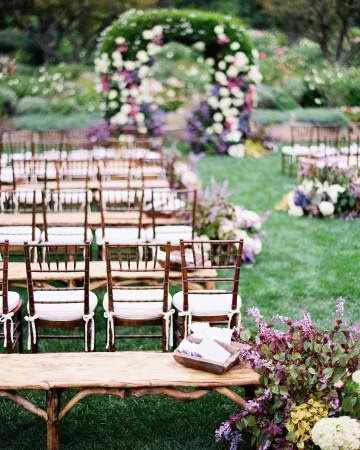 We do not need to break the bank to make the aisle achieve that wedding-pretty appeal we want. 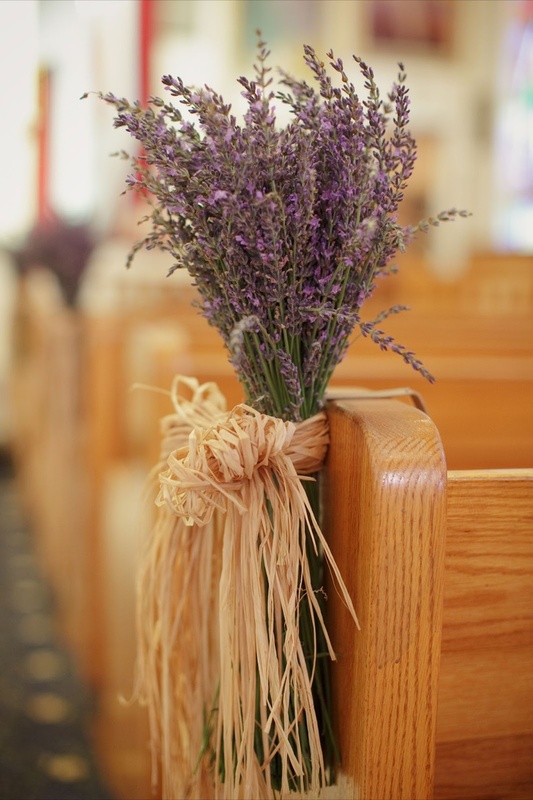 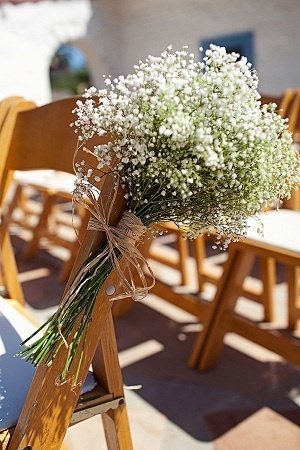 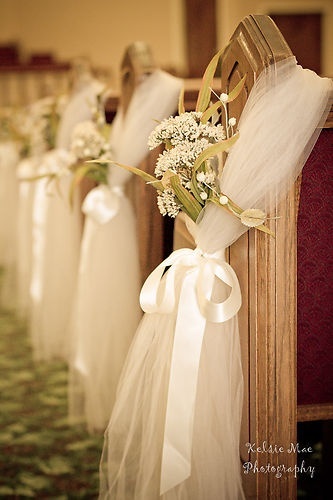 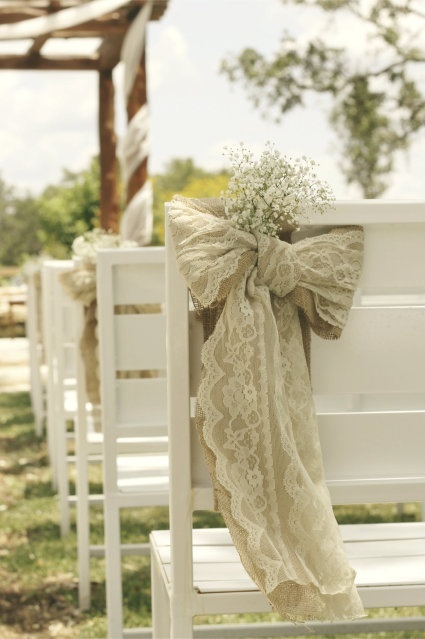 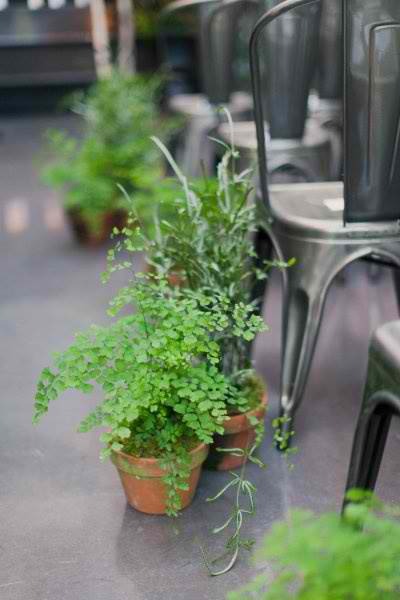 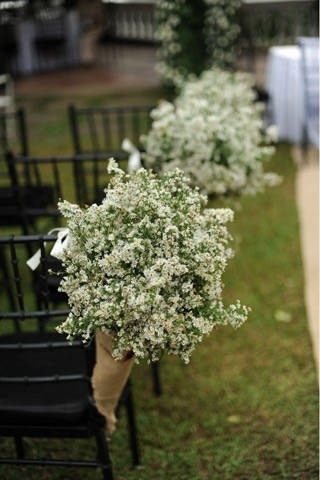 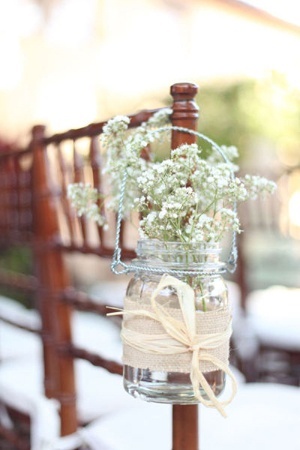 For our wedding, I wanted to stick to our rustic vintage theme so I asked my florist to tie bundles of baby’s breath (in varied heights) with sinamay fabric (though I was originally rooting for burlap) on the church pews. 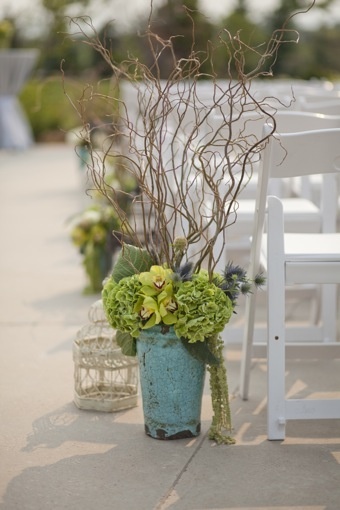 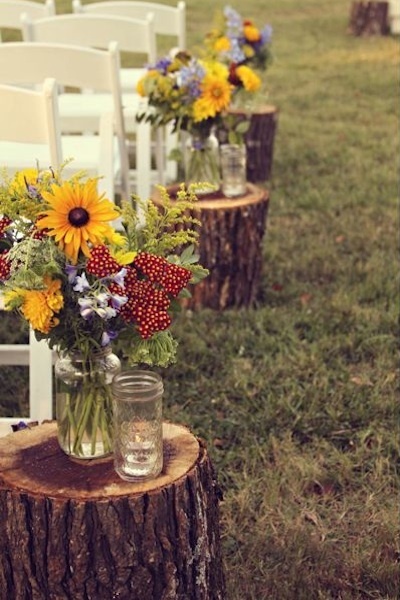 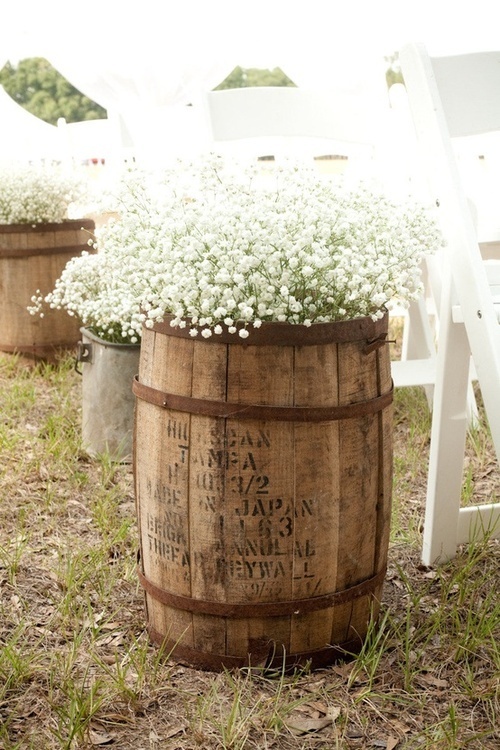 Stuff flowers in mason jars, burlap cones, metal pails or even old wine barrels.